Andrew Streitwieser is an American chemist known for his contributions to physical organic chemistry. Streitwieser was born in 1927 in Buffalo, New York and he grew up in New York City. 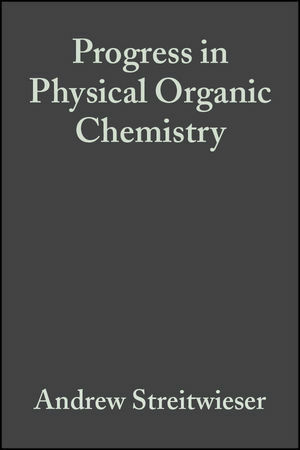 Robert W. Taft, PhD., Department of Chemistry, University of California, Irvine, is the editor of Progress in Physical Organic Chemistry, published by Wiley.